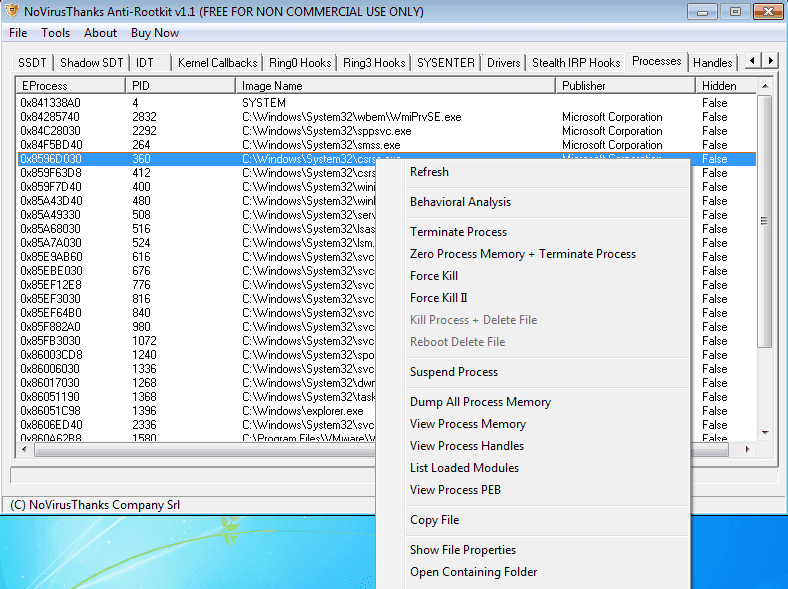 NoVirusThanks Anti-Rootkit is a sophisticated low-level system analysis tool whose main goal is to detect the presence of malware and rootkits. Hidden processes, hidden drivers, stealth DLL modules, code hooks etc. are just a few of the objects which can be detected in user space and system memory. This tool is a must-have for anyone seeking true 32-bit Windows NT kernel security and system threat analysis. The vast detection range of industry standard rootkits is truly amazing especially without compromising system stability.